So….. my second cookbook, 100 Best Decorated Cookies came out a few weeks ago (woo-hoo! ), and I’m obviously a bit tardy posting about it on this blog. Fall, 2013 has shaped up to be one heckuva busy season, and there is no sign of it slowing down any time soon. I have become Starbucks’ best customer lately, although you wouldn’t know if since they still can’t spell my name correctly on the cup. Psst……barista: It’s J-U-L-I-E, not “June”, not “July”, not “Joolee”. Yes, each of these misspellings once adorned my venti-skinny-extra-hot-latte cup. Sigh. Onward. So anyhow, back to the book. Sorry. Don’t get me started on my coffee. If you’ve read this blog for a while, you know that I’ve been decorating cookies for years, both for special events and just for fun. I’ve learned that people love the idea of decorating cookies but they are intimidated by the process. 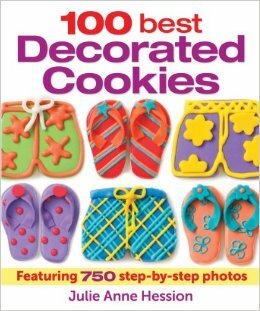 The great thing about this book is that it takes you through the cookie-creating process step-by-step, including instructional photos for each step, tools needed and cooking decorating resources. My intention was to make the book a perfect fit for both decorating newbies and those a bit more comfortable holding a piping bag–I hope that I’ve succeeded! OK, so there’s my “pitch.” I’m very proud of this book, and hope that you enjoy it too if you decide to get a copy. 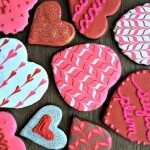 There are a wide variety of cookie designs for all occasions, from weddings to children’s birthday parties to casino nights (hey, I’m from Vegas) to a girls’ night out. And of course, there is a big seasonal section including holidays, such as Halloween. 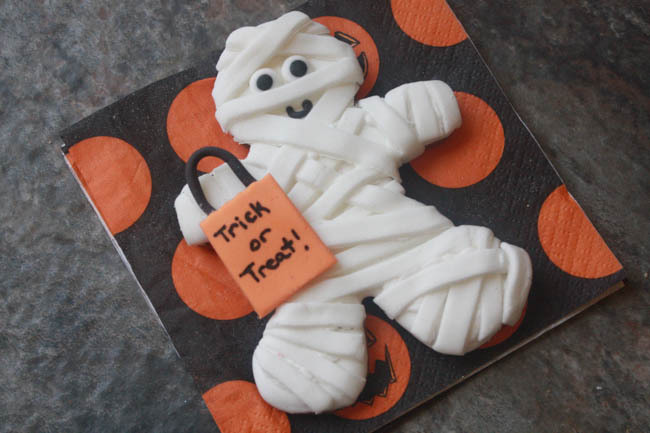 These adorable Mummy Trick-or-Treater Cookies are one of my favorite designs, and they are great if you don’t have much experience working with fondant or royal icing. They would make a fun favor for a Halloween party or, as noted , you could even incorporate the decorating into a party activity. I made these cookies using my Vermont Maple Sugar Cookie dough recipe, published below, from the book, but you can certainly substitute a basic sugar cookie recipe instead. Also below are a few helpful step-by-step photos to accompany the instructions, but of course you can find a more complete set in the book. These lightly spiced cookies, inspired by the maple syrup that my husband's parents ship to us from Vermont, would be a perfect match for fall-themed cookies, such as acorns or autumn leaves. In a medium bowl, whisk together flour, cinnamon and salt. In the bowl of an electric mixer fitted with the paddle attachment, beat granulated sugar, brown sugar and butter on medium speed until light and fluffy, about 3 minutes. Beat in the egg, maple syrup, vanilla and maple extracts until well combined. With the mixer on low speed, gradually add the flour mixture to the bowl, mixing until combined. Turn the dough out onto a lightly floured work surface and divide it into three equal portions. Shape each portion into a flat disk and wrap tightly in plastic wrap. Refrigerate the dough for at least 1 hour, until firm and cold, or up to 3 days. Preheat the oven to 350F/180C, placing racks in upper and lower thirds positions. Line two cookie sheets with parchment paper. On a lightly floured work surface, roll out one piece of dough to a thickness of 1/4-inch (.5 cm). 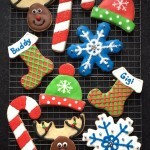 Using your cookie cutter, cut out shapes and carefully transfer them to the two prepared cookie sheets, spacing apart. Reroll scraps as necessary and repeat the process with the remaining pieces of dough. Bake the cookies for 11 to 15 minutes, switching the positions of the cookie sheets halfway through, until the cookies are set and lightly browned. Let the cookies cool on cookie sheets for 10 minutes, then carefully transfer them to wire racks to cool completely. For the royal icing, in the bowl of a stand mixer fitted with the whisk attachment, beat the sugar and meringue powder on low speed until well combined. In a measuring cup (preferably one with a spout), stir together water and vanilla. Increase the mixer speed to medium and mix for 4 minutes, stopping to scrape down the sides of the bowl as necessary. Increase the mixer speed to high and beat for 3 to 5 minutes or until icing is stiff and glossy and the whisk attachment can stand up in the icing without sinking. The icing is now at piping consistency. For Two-Step Icing (see Notes), add water to the royal icing, 1 tsp (5 mL) at a time, stirring after each addition, until the icing has the texture of hair gel. If you drizzle a ribbon of icing across the top of your icing bowl, it should completely disappear in about 15 seconds. I prefer to use Grade B maple syrup, as it has a more concentrated flavor, but Grade A or Fancy will work just as well. Two-Step Icing has the consistency of hair gel or cool honey, and it allows you to both outline and flood a cookie without switching tools. It is thick enough to hold its shape when piped, but thin enough to create a smooth surface when used for flooding. It also results in a more fluid overall finish. 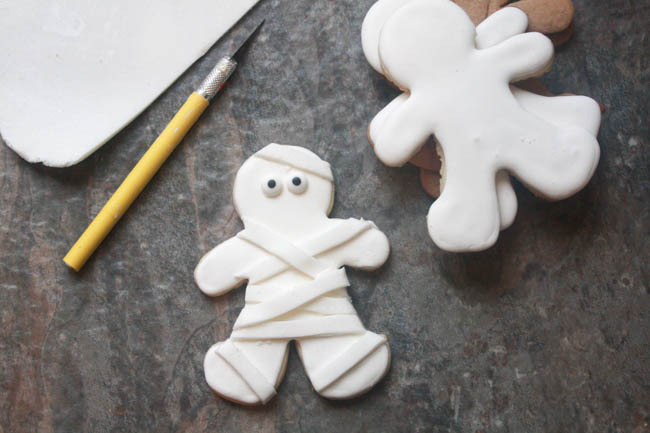 Be the hit of your Halloween party by passing out these adorable mummy cookies. You might even turn the decorating process into a fun activity. All you need is a lot of white fondant......and a little patience! 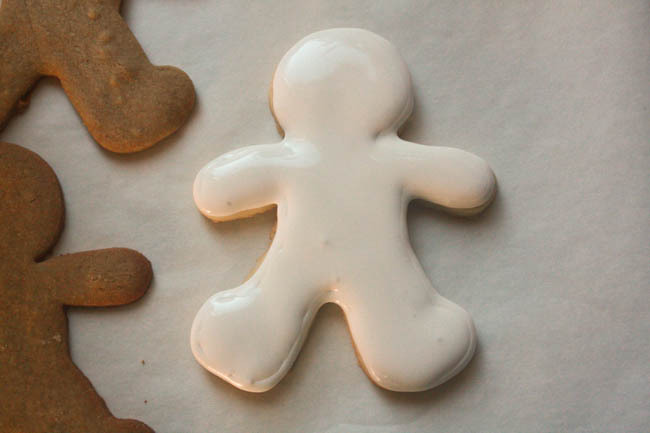 Bake cookies: Roll out dough and cut cookies with the Gingerbread Man cutter according to recipe directions. Let cool completely before decorating. Tint and thin icing: Place about 1/2 cup (125 mL) icing in a bowl and tint it black. Cover tightly and set aside. 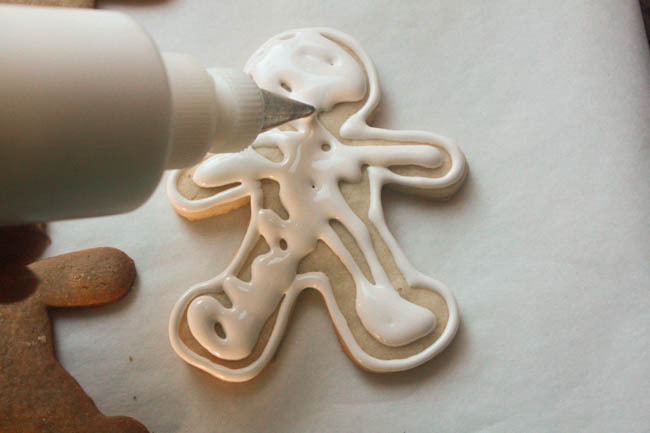 Thin the remaining icing to Two-Step Icing consistency (see Classic Royal Icing recipe) and trasfer to a squeeze bottle. 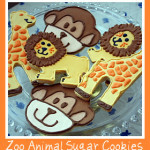 Using white icing, outline and flood cookies. Let the icing set for at least 6 hours or overnight. Meanwhile, create the orange goodie bags. 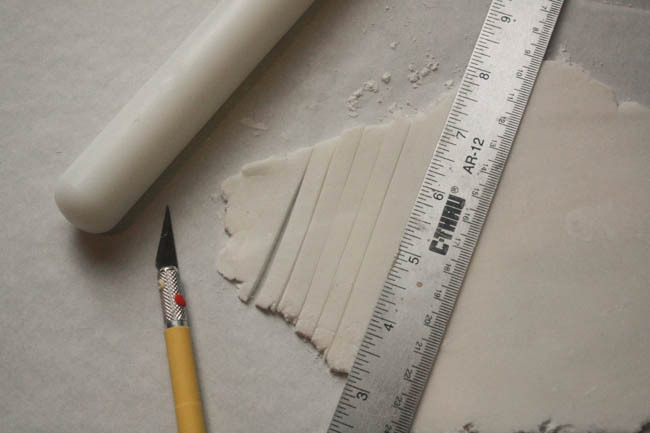 On a work surface lightly dusted with cornstarch, roll out orange fondant to 1/16-inch (2 mm) thick. Using the ruler and the x-acto knife, cut out a 1-1/2 by 1-inch (4 by 2.5 cm) rectangle. Make 1 rectangle per cookie. Roll black fondant into very thin ropes. Cut the ropes into 1-inch (2.5 cm) sections and bend each into a handle shape. Dab the ends of each handle with water and press them lightly against an orange rectangle to affix. Place the goodie bags on a cookie sheet and let dry for at least 6 hours or overnight. Dust a work surface with cornstarch and roll out the white fondant to 1/16-inch (2 mm) thick. With a ruler as a guide, use the x-acto knife to cut long strips about 1/2-inch (1 cm) wide. Make several strips for each cookie. 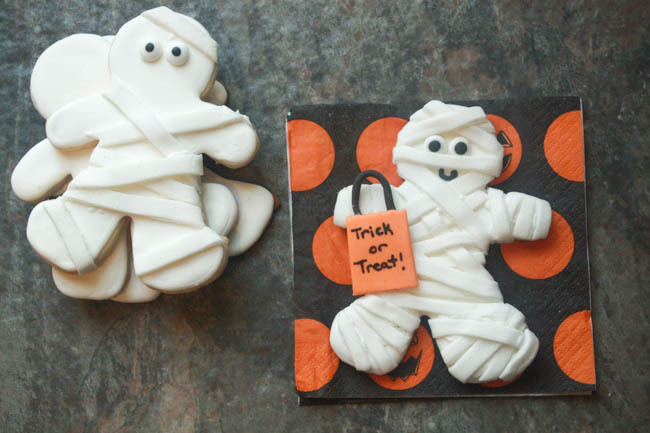 To make each cookie look "wrapped" like a mummy, use dabs of icing to affix white strips in various directions, trimming the strips at the edges of the cookie and pressing the ends down. Leave small spaces for the eyes and a mouth. Using an edible marker, write "Trick or Treat!) on each goodie bag. Dab the back of each bag with icing and affix a bag to each mummy's hand. 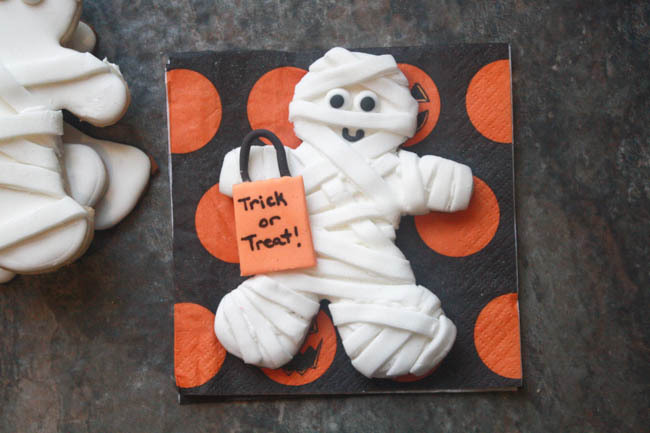 Using tweezers and a dab of icing on the back of each royal icing eye, place two eyes on each mummy's face. Transfer black icing to a pastry bag fitted with a #1 tip. Pipe a mouth on each mummy. Let cookies dry for at least 6 hours or overnight. An x-acto knife is a good investment if you plan to work with fondant often. Its blade is sharper than a paring knife, allowing for a more "x-act" cut! Adding embellishments, such as royal icing eyes, is easier if you use a pair of tweezers. Buy an extra pair and keep them handy with your decorating supplies. If you don't have royal icing eyes on hand, pipe simple eyes using black icing and a pastry bag fitted with a #2 round decorating tip. I wish I could be creative like these. I am so bad at cookie decorating, even cake decorating is just not in my genes. Every time I try it always looks “rustic” LOL! Congratulations on your new book! You are so talented! I love your sugar cookies. I am going to have to order your book and spread the word! You should do a cake book next! These cookies look mummy. Thank you so much, Emily!! I don’t know about a cake book…..but will definitely think about it. Cakes are an entirely different mountain to tackle. Can you imagine how many new friends I would make during recipe testing? That alone might make the project worth it! Happy Halloween!! I can hardly wait to get your new cookbook…just ordered it from Amazon! I randomly came across it a couple days ago in a Vancouver, BC bookstore (Chapters). I had some time to spare before attending a football game and decided to go in the bookstore and look around. I don’t live in Canada and had never been in a Chapters bookstore. I wasn’t looking for anything in particular, just browsing. On one of their holiday displays they had a stack of 3 or 4 books. Your book caught my attention because of the title and I could tell it was spiral-bound on the inside. I love baking and I love it when cookbooks are spiral-bound! The books were too high on the display to reach so I took note and headed upstairs to the cooking section. 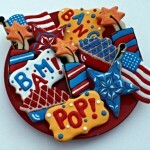 I found your book and fell in love with the fabulous and colorful cookies! I didn’t buy it then because I wasn’t going to take it to the game with me. I still thought about it when I got home so I did a search on the title. While looking to order the book I saw your blog and here I am. I thought you might enjoy the story of how I stumbled upon your book and your blog. Thanks for the baking inspiration! Thank you so much for your comment and for finding my blog –what a great story. It is always fun to hear how someone “stumbles” upon my books, and I am so glad that you found your way into Chapters bookstore. I’ve actually never heard of that chain, so I am going to look them up now! So glad that you enjoyed looking at the book, and I hope that you have fun with your copy. Feel free to ask me any questions that arise! Adorable! Congrats on your new cookbook!!! Thanks so much, Cakewhiz!! I’m just the opposite–like to dabble in the cake decorating, but I have much room for improvement. Clearly I’ve taken a bit of a blogging break over the past few months…..need to get back on track!